Hi, it's been a while between posts, mainly been lurking but I wanted to share this latest acquisition. 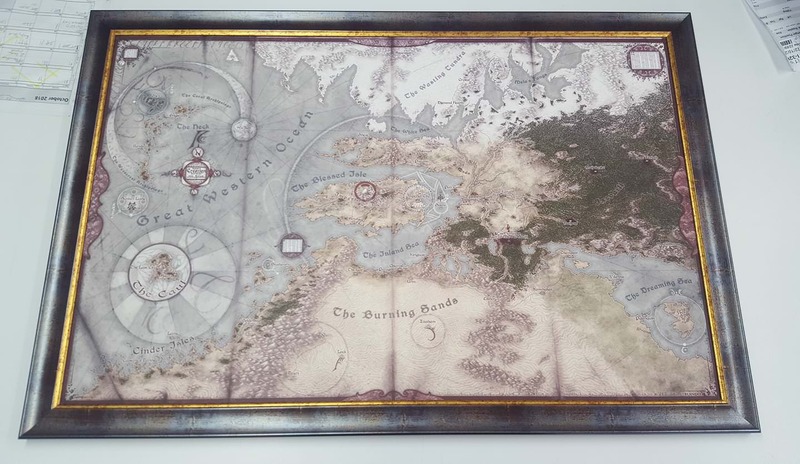 I got the 3rd ed Creation map printed out at A1 size (that's 23.4 x 33.1 in for you Americans) and then had it professionally framed and it came out miiiiiint as hell. I recently got a new study built for the house and this is going to be pride of place! It's EXACTLY this that I want to do with my own E3 map. So a frame that's 23.4 x 33.1 inches, huh? I just measured my own E3 map that I got with my Deluxe Edition and that measurement matches up with mine. I sooooo wanna frame my map too; I gotta figure that out. Last edited by Su-tehp; 10-31-2018, 11:12 PM.